I went shopping for meat at my local kosher supermarket. 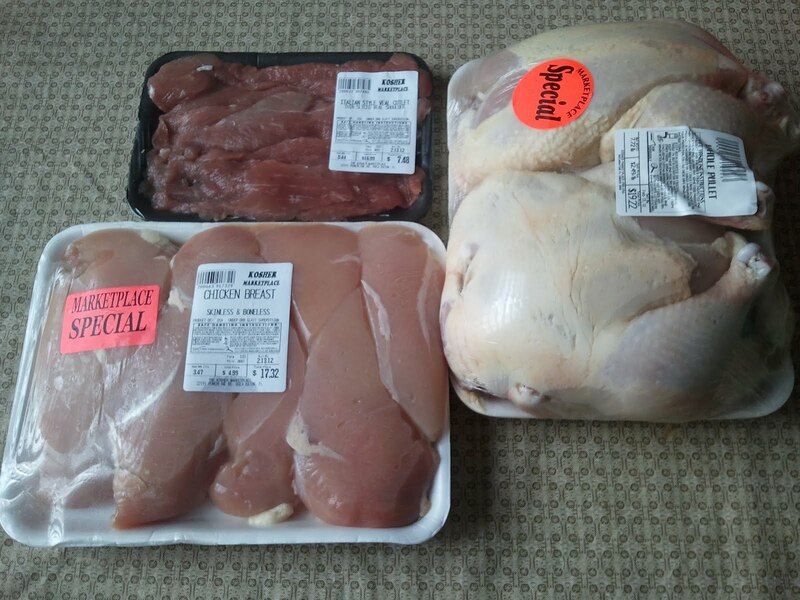 I needed chicken - both whole chickens for my Everything Soup and boneless chicken breasts for dishes like my Honey Mustard Herb Chicken - but I also wanted to splurge a little on some meat for a nice meal for Valentine's Day. It turned out to be more of a big splurge - I bought kosher veal cutlets for $16.99 a pound! But I only bought less than half a pound, so it ended up being around $7.50 for the meat. Expensive, but a restaurant meal would be far, far more expensive than that!